At 10°C formation of gas in the mayonnaise was observed after storage for 21 days, when the only microorganism found to grow in the salad was S. exiguus. The numbers of Lactobacillus spp. 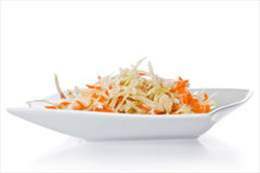 and of other bacteria detected initially in the coleslaw declined during storage.